Christopher Thron is associate professor and chair of the Department of Science and Mathematics at Texas A&M University-Central Texas. Formerly he was a systems engineer with NEC America, Motorola, and Freescale. He received Ph.D. degrees in mathematics and physics from the University of Wisconsin, and the University of Kentucky, respectively. Chris’ passion is the creative use of mathematics (especially computational mathematics) to solve important practical problems and improve quality of life. He places strong emphasis on mentoring up-and-coming researchers, and has co-authored research articles, national conference presentations, and one book with A&M-Central Texas students Chris also has a long-standing interest in Third World development, and has taught courses and workshops in mathematics, statistics, and software in Benin, Cameroon, Chad, Nigeria, Sudan, and the People’s Republic of China. He has also collaborated on published research with faculty and other experts from those countries. Mathematically, Chris’ focus areas include machine learning, operations research, stochastic optimization, agent-based modeling and algorithm design. 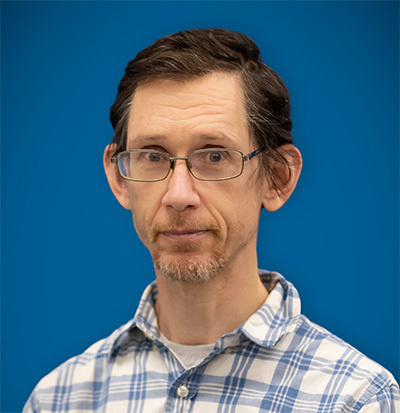 Applications he has worked on include sensor networks, signal processing, target tracking, scheduling, epidemiological and social modeling, public health statistics, and foundations of quantum mechanics.